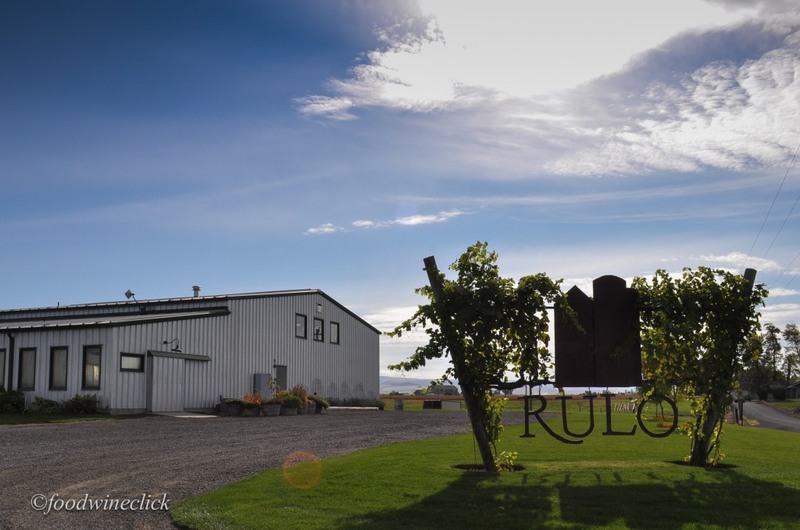 We met Kurt and Vicki Schlicker last year on our trip to Walla Walla and were intrigued by their journey into winemaking as well as their incredible wines. Typically a white wine drinker, Julie has become a fan of these restrained, old-world reds thanks to RULO wines! Kurt got a microbiology degree from Stanford and worked at a winery during summer breaks. After college, he went to med school and became an anesthesiologist, but he never lost his interest in wine-making. 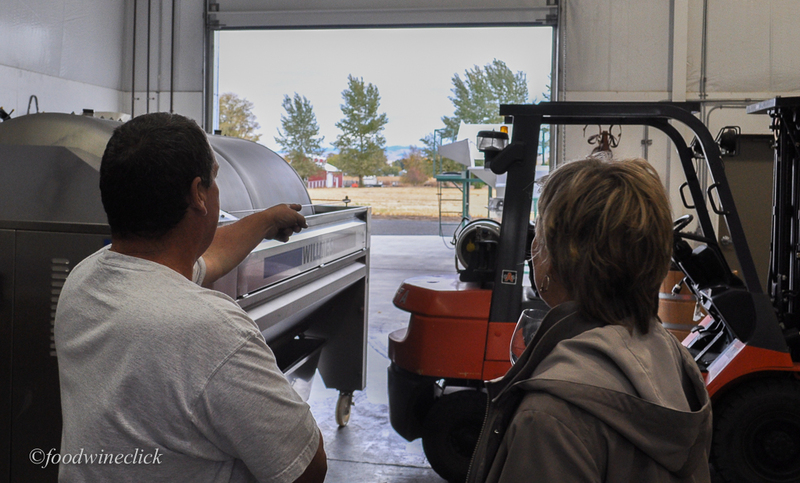 Some years ago, Kurt and Vicki settled in Walla Walla and started their winemaking careers “part time.” To make it work, Kurt took all of his vacation days during the harvest season, covering for his partners on every holiday and through the summer. Can you imagine! 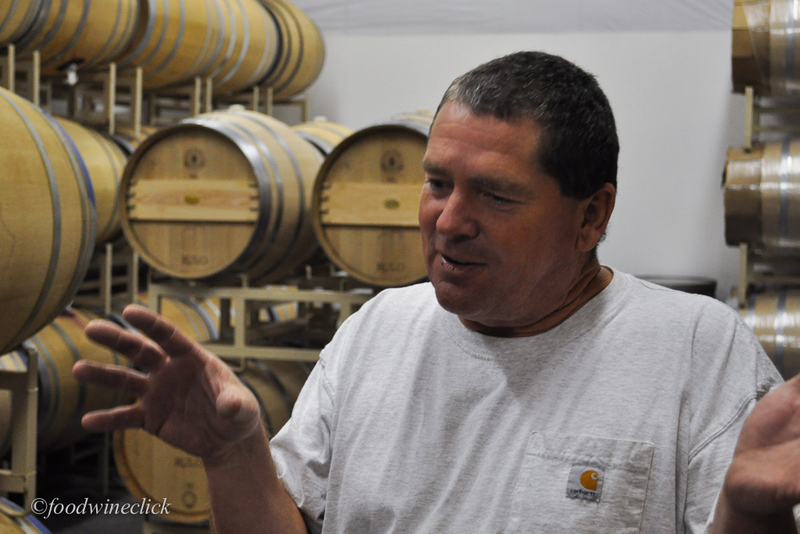 Kurt retired from medicine in June and transitioned to full-time in the winery business. Interestingly, the physician side hasn’t disappeared. Kurt told us about his microscope and his lab for watching the fermentations in process. He observes the fermenting must to monitor for the presence of the “good” yeasts, and to make sure the “bad” yeasts are not present. For Kurt, Vicki and Rulo, winemaking is a combination of art and science. Rulo is out in the open, Blue Mountains in the background. When we arrived at the winery, Vicki was busy at work, moving some equipment with the forklift. The forklifts in these wineries are pretty amazing. They can lift bins full of grapes to amazing heights, flip them over, you name it. Vicki jumped out of the winery forklift to greet us. Nice view to the mountains out the garage door. Kurt is so enthusiastic! We enjoy just walking around and listening to him describe their experiences in making wine. Kurt gets so excited talking about their experience as winemakers. We saw several large vats in mid-fermentation. Rulo has some tanks we had not seen before. 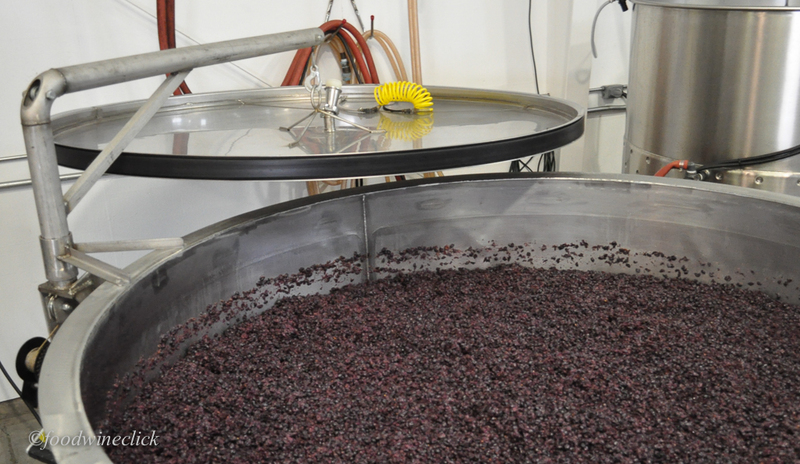 They have lids that have a pneumatic seal so they can carefully manage that aspect of fermentation. Rulo fermenters have this interesting air-pressure sealed cover. Their reds are very nice as well. Their Syrca is a Syrah/Cabernet blend and is a great red for easy meals from the grill. Their Syrahs are nice, typically aged in older oak. 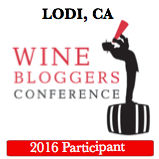 We tried their WCF blend for the first time. It is a Cabernet/Syrah blend, a bit bigger than their typical wines, and it sees more new oak. It certainly isn’t overly oaky, but it is more rich and full than some of their other wines. We picked up a couple of the Syrah and the WCF blend to try at home. A full range of wines for tasting. Rulo doesn’t have a wine club, relying on people ordering what they like. Their artisan wines typically range $15-40 per bottle, which is very reasonable given the care with which they are made. If you’re interested in trying wines from Walla Walla, you should consider giving them a call! Thanks to Vicki and Kurt for more lessons on winemaking and tastings of some of our favorite wines!